Sacred Heart Hospital is launching a new name for its pediatric offices and tonight is celebrating the facility’s renovations. Thanks to a gift from Air Products and Chemicals in Lower Macungie Township and Air Products Foundation, Sacred Heart Pediatric Associates at the Sigal Center for Family Medicine in Allentown received a cosmetic facelift – and will be renamed Sacred Heart Kids Health Center. Tours will be given at 5 p.m. today, followed by a grand opening ceremony. The renovations to the second-floor facility were funded from a portion of a gift from Air Products, which contributed to Sacred Heart’s “Come Home to Your Heart” capital campaign. Sacred Heart Kids Health Center is across Fourth Street from Sacred Heart Hospital. With the renovations came an expanded and freshly painted waiting room, along with newly painted hallways and exam rooms.  The pediatric facility once housed two waiting rooms, but with the renovations by Bracy Contracting Inc. of South Whitehall Township a portion of the glass partition wall was removed to connect the waiting rooms, making it more open. Air Products long has had a supportive relationship with Sacred Heart Hospital, Jones said. Air Products employees have served on the Sacred Heart Hospital board and committees, as well as volunteered at community outreach programs at Sacred Heart, including a book drive to collect books for the pediatric center’s waiting room. 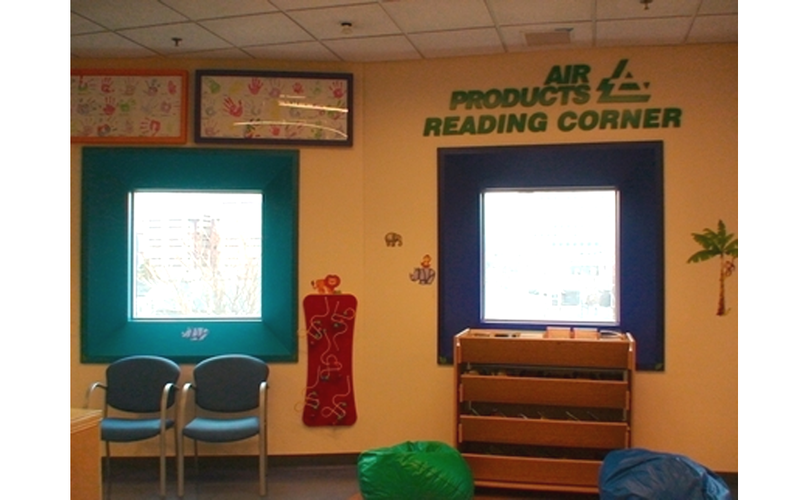 The books are part of the waiting room’s Air Products Reading Corner. Another portion of Air Products’ “Come Home to Your Heart” gift was used to fund part of the $2.2 million renovations to Sacred Heart Tower’s fifth floor, now home to 18 private rooms for the recovery of surgical patients, which was unveiled in February. Donated art adorns the walls of the pediatric facility as part of the renovations, including art by Hope & Healing Juried Art Show of Allentown; Allentown Central Catholic High School students; and Mikayla’s Voice, a nonprofit organization dedicated to promoting inclusion for children with disabilities, which donated a mural painted with the wheels of a wheelchair signed by Lehigh Valley IronPigs baseball players. Founded in 1912, Sacred Heart Hospital is a 215-bed Catholic medical center at Fourth and Chew streets in Allentown with a staff of more than 1,200. The hospital offers primary and pediatric practices throughout Lehigh and Northampton counties and a range of advanced medical services.